Image: IDW. Cover art by Eric Jones. 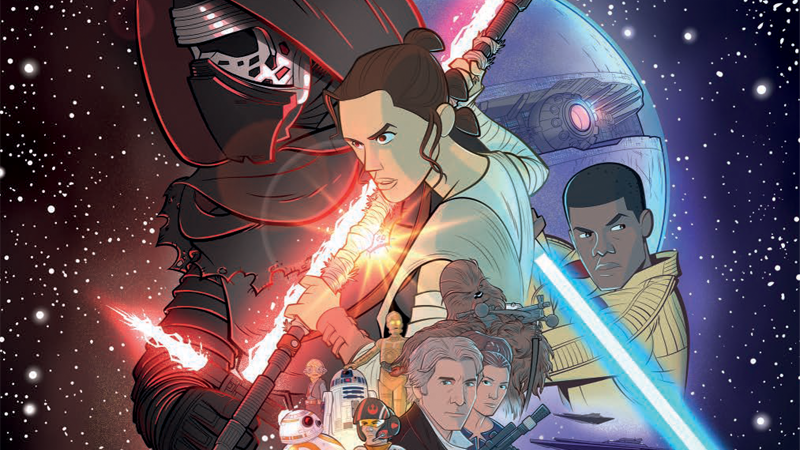 At Star Wars Celebration this year, IDW announced Star Wars Adventures, a new all-ages take on the galaxy far, far away, distinct from Marvel’s Star Wars comic book offerings. That distinction is continuing with a new, stylized take on The Force Awakens, and we’ve got a new look inside. Marvel already released its own adaptation of the movie last year but like Adventures, this new graphic novel—written by Alessandro Ferrari and with art from Simone Buonfantino, Ken Shu, Roberto Santillo, Marco Ghiglione, and Stefano Attardi—is aimed at younger Star Wars fans, making it a bit more of an approachable read, even if it’s an adaptation of the same source material. One way it does stand out compared to Marvel’s adaptation: it has a much looser, cartoonier art style, which makes The Force Awakens feel like a Saturday morning cartoon rather than a blockbuster movie—which I suddenly would like to see actually happen. Check out the opening pages of the new adaptation below, making their debut here on io9. IDW’s Force Awakens adaptation is on shelves August 29.